PS Engineering manufacture and fit Bespoke Electric Gates throughout Northern Ireland. 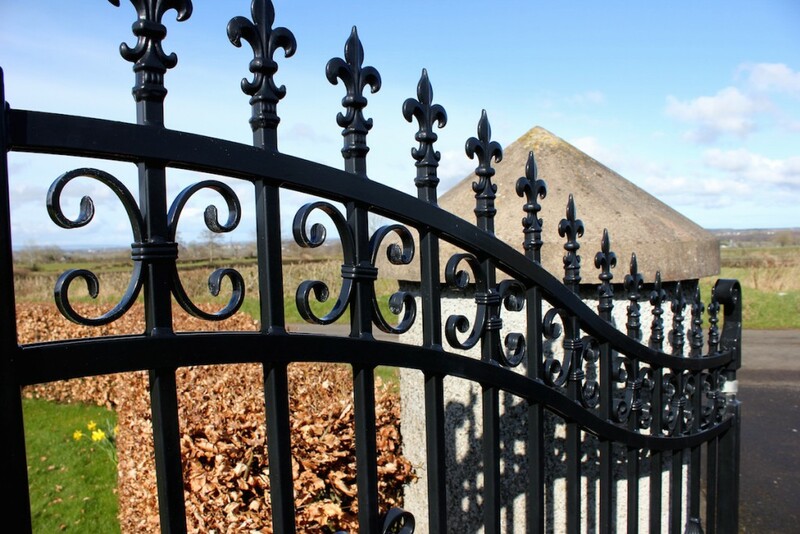 Based in Ballymoney the steel fabricators can design gates and railings to your specification and then fit them on your property. When your gates are fitted you can choose to have an electric system, meaning your gates will open themselves at the click of a button. At PS Engineering we can cater for everything from providing a garden gate, brand new gates or matching a new gates or set of railings to your existing gates. Your gate can be designed to be as elaborate or simple as you would like. At PS Engineering we pride ourselves on being able to produces gates with beautiful detailing including scrolls, decorative handles and fleur-de-lis. Click here to read more blog posts giving details about our electric gates. For more information about our bespoke Electric steel gates which we install throughout Northern Ireland get in touch with PS Engineering by clicking here or visit us in Ballymoney.